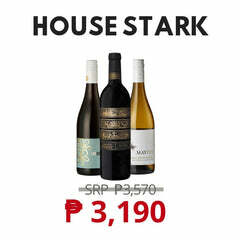 Winery Philippines’ wine selection is directly sourced from boutique wineries who share the same commitment to quality as the online wine store. 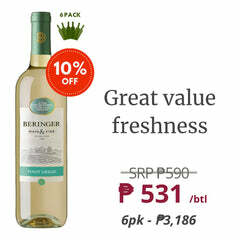 It is not always easy to find the best wine in Manila for your own taste preference, which is why Winery Philippines has done all the hard searching in order to find quality wines in the Philippines that will suit the climate and the Filipino palette. The Winery Philippines collection has a wide range of wines from red, white, to sparkling wines, and every brand and varietal is subjected to a thorough tasting by a panel of experts to ensure that the local wine market will only be spending for quality, value for money wines. All our wines are properly stored in an air-conditioned warehouse, so we can guarantee our customers that it is 100% safe and hassle-free to buy wine online. The selection includes red, white, and sparkling wines that came from a variety of wine-producing regions that are known for making the best of a particular varietal. 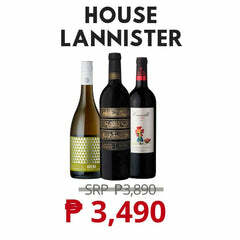 This ensures our loyal customers that they are buying some of the best wine in the Philippines. A good part of the selection comes from Australia’s best wine-producing regions, such as Rutherglen, Orange, and King Valley. 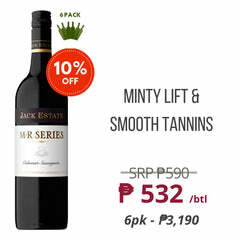 Rutherglen, Australia is the home of All Saints Estate, a family-owned winery that makes some Winery Philippines’ best-selling Cabernet Sauvignon, Shiraz, and Chenin Blanc. Chrismont from King Valley Australia, is the hometown of the wine lovers’ favorite Barbera, Riesling, and Prosecco. Pizzini Wines, also from King Valley, is a family-owned winery known for making fine Italian wine varieties and is the producer of the well-known Rosetta, Pinot Grigio, and Sangiovese. Philip Shaw Wines, a 5-star James Halliday winery from Orange, Australia has been a popular choice among Winery Philippines customers for their Shiraz and Chardonnay. 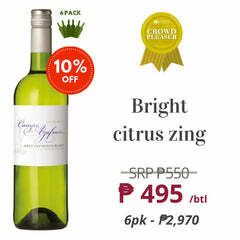 Another renowned winery from Orange, Printhie Wines, has particularly been a favorite by both customers and restaurant partners for the Merlot and Sauvignon Blanc. Our online store also sells wines from the famous Napa Valley, CA which is known for producing some of the world’s most sought-after red and white wines Cabernet Sauvignon, Pinot Noir, and Chardonnay. Just recently, we added Italian wines to our collection, including some of the most internationally famous red and white varietals, like Negroamaro, Garganega, and Chardonnay.